As it is known worldwide, STMicroelectronics is a global semiconductor leader and serving customers across the spectrum of electronics applications that has been named the MEMS Manufacturer of the Year at the MEMS World Summit. 12 billion MEMS sensors shipment till date narrates ST’s position as an industry leader with and the only company with the expertise to cover the full range of micro-machined silicon devices that include both sensors and micro-actuators. 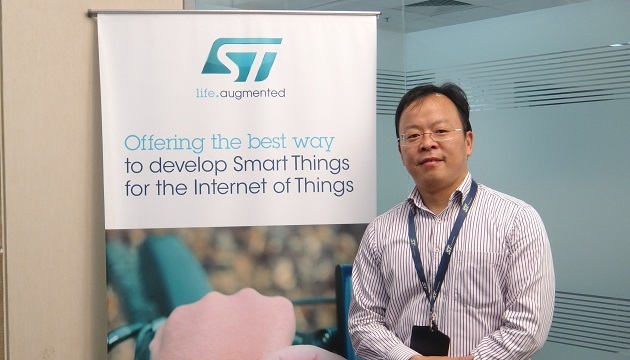 Collins Wu, Marketing Director of Analog and MEMS group in STMicroelectronics is responsible for expanding Analog and MEMS portfolio in Greater China and South Asia, talked to Devendra Kumar, Editor, ELE Times to discuss ST’s leadership in MEMS that enables Smart applications. Excerpts from the interview. ELE Times: What is the current strategy of STMicroelectronics for MEMS and how is it different from others? Collins Wu: India is a land of opportunities and it is emerging as a manufacturing hub. Global customers are setting up Design and Manufacturing activities in India. This is open good opportunities for MEMS and sensors in India. I have seen lots of interest in MEMS, Sensors, and RF which inspired me to spend more time with customers here. ELE Times: What is your feedback with respect to MEMS market? Collins Wu: Mobile Phones are an exciting product in India and it is a potential market. Many of our customers have invested heavily both in manufacturing and R&D of Mobile phones. 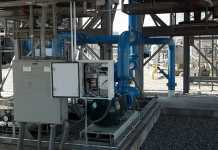 Industrial applications are another of the markets that need serious attention. 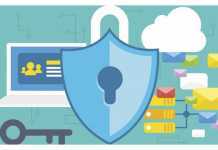 Adaptation of MEMS sensors in industrial product design can help products to be more reliable, secure, and user-friendly. ELE Times: What are the trends for MEMS segment in India? Collins Wu: MEMS has seen massive growth in mobile phones. MEMS is also a key pillar in IoT applications. MEMS sensors like Accelerometers and Gyroscopes, as well as Humidity and Temperature sensors, are widely used in IoT applications. A few use cases include Home Automation, Smart City, and Smart Industry. Sensor data will also enable a wide range of cloud services. ELE Times: Mobile is a big market in India so what are the other industries where MEMS are being used? Collins Wu: In India, MEMS has wide usages. We are working in the Automotive, Industrial and IoT segments. To expand and develop the MEMS market we need to emphasize the advantages of MEMS and offer education and training. In the long run, MEMS will benefit humans by protecting the environment and making transportation safer. ELE Times: What is the opportunity for MEMS in smart driving and Internet of Things? Collins Wu: ST is continuously strengthening its position in the MEMS market through the introduction of new devices and ST has strength here because of our long history in the Automotive segment. MEMS is a critical component for the automotive segment. Accelerometers and Gyroscopes can detect driving patterns, harsh braking, and harsh acceleration. Navigation systems have become very important and Telematics is an emerging segment for MEMS devices. MEMS can also make passengers more comfortable by sensing temperature and humidity inside the car and help control the air conditioner. Airbag sensors are another place for MEMS; they can trigger the Airbag in the case of an accident. ST has a strong presence in the Automotive segment in non-safety and Airbag applications. In the Internet of Things, we’re excited about the whole area. In particular, high-value MEMS — from industrial processes to building, medical and mil-aero — shows a very upbeat 9.4% CAGR (2013-2018). 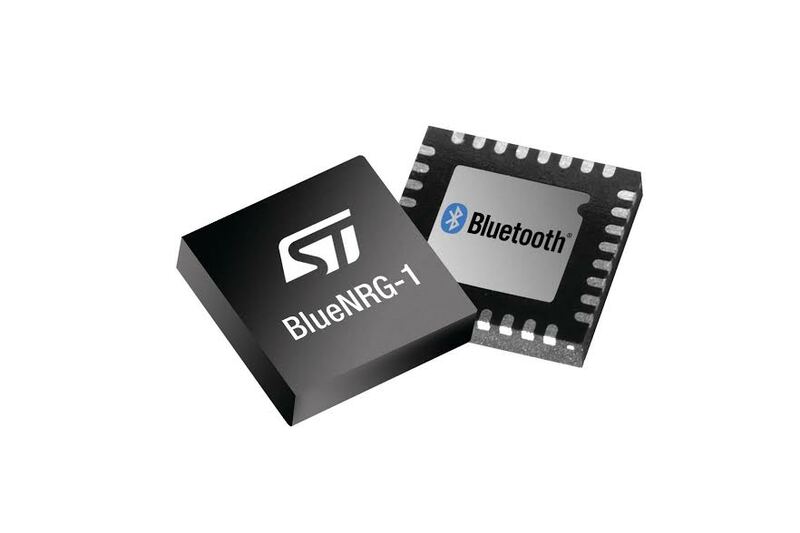 One reason ST is so strong in IoT is that we cover the full range of IoT-important technologies: Our MEMS sensors collect relevant information from the environment, send the information to our Microcontrollers, powered by our Analog and Power technologies. The MCUs process the data they get from the sensors and use that to control systems and subsystems through wired and our wireless technologies, including Bluetooth low energy (BLE), subGhz, Wifi and Bluetooth products that can also connect to cloud services, able to provide real-time statistical analysis. ELE Times: Does MEMS has something for Autonomous driving? Collins Wu: Autonomous driving is a big goal for Smart Driving. MEMS supports this effort as MEMS technologies can be used in both sensors and in actuators. In actuators, STMicroelectronics brings system integration partners and a technology to enable it. For example, a MEMS actuator can act to control micromirrors that can reflect both visible and invisible light. So these can enable applications such as HUDs (Head up Displays). ELE Times: Is STMicroelectronics getting into the segments like medical? Collins Wu: ST caters to both the Medical and Healthcare segments—though you can imagine medical products often take a long time to bring to market. One example of a medical project is one we have with our partner Debiotech that is making a JewelPump that relies on microfluidic MEMS (Micro-Electro-Mechanical System) technology. It is a very tiny, contactless fluid injector that Debiotech is using for measured medicine delivery. MEMS technology from STMicroelectronics is a key pillar of the success of this technology. ELE Times: What is the current market for MEMS in India and what are emerging areas? Collins Wu: The current market includes smartphones, tablets, cameras, game consoles, and laptops. These are now present in many Indian homes. MEMS plays an important role by empowering these valuable tools with an ability to sense the external environment and act intelligently. Today, India is a big consumer of products such as Wearables, Smart devices, and Mobile phones. ST is working with customers who are moving to enable the production of these products in India. There are also many industrial applications, including Metering, Lighting, and Robotics. We are helping our customers to better understand how our technology can make industrial applications smarter. ELE Times: As manufacturing in India is increasing, where do you see market after two to three years down the line? Collins Wu: India is a very dynamic market that is going to see the adoption of Smart Driving, Smart City & Home, and Smart Things. We hope to contribute to that success as a leading player of RF and MEMS sensors in India. ELE Times: Where ST is placed in the market now? Collins Wu: STMicroelectronics has shipped 12 billion of MEMS sensors to date. The achievement reconfirms ST’s position as the clear leader in MEMS (Micro-Electro-Mechanical Systems) devices for consumer and portable applications. ST is the only company to offer the full range of Sensors & Micro-actuators. We continue to develop new products out of our existing family and we have invested heavily in consolidating our leadership position in these applications and we are working to grow in Automotive and Industrial applications. ELE Times: What is the strategy for introducing MEMS sensors in India? Collins Wu: STMicroelectronics has a huge experience in the promotion of MEMS products and we also have had great success in embedded systems. We have developed a kit, development tools, and software that help develop embedded systems with MEMS and the full portfolio of ST products. The growth in consumer electronic products alongside the introduction of the sensors in the automotive and medical segments ensures stable growth and the continuing expansion of the MEMS sensors market. ELE Times: What are the achievements of STMicroelectronics in terms of MEMS market? Collins Wu: Our local customers tell us that ST is the only active supplier of MEMS in Indian market. 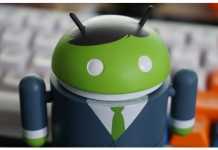 And we make the hardware and support development with several software libraries. We are engaged in various kinds of designs for our customers and partners in order to enrich their products with MEMS. ELE Times: What kind of product STMicroelectronics is offering for Augmented and virtual reality? Collins Wu: MEMS sensors such as motion sensors, gyroscope, compass, and microphones offer opportunities for Augmented and virtual reality. Today, both motion and microphone are very mature segments and we are continuously working with customers and their reference designs. STMicroelectronics is present in several platforms to support the customers. ELE Times: By virtue of being in-charge for Asia and Greater China, you have experience of these markets. What has India to learn from such countries? Collins Wu: India is one of the largest markets for consumer goods and latest gadgets. We expect the market here will grow very fast and to win in the market, India has to be competitive in design, manufacturing, and through the entire supply chain. This is a key takeaway for any company looking to grow in smarter applications in India. ELE Times: In terms of MEMS market what are the challenges you faced in India? Collins Wu: The level of Research and Development here is still in its early stages. Product reliability of local products is also a challenge. The differentiation idea is still on the concept level, yet to be transformed into reality. ELE Times: Any message to Indian customers? Collins Wu: STMicroelectronics offers a comprehensive portfolio of micro-machined accelerometers, gyroscopes, pressure sensors, magnetic sensors, and microphones and has the capability to integrate these in multi-sensor combos with onboard signal processing, control functions, sensor-fusion algorithms, and wireless connectivity. We are ready to provide support to you because MEMS can bring differentiation to design and make your products Smarter. Our team in India is ready to provide best product and service to our customers. ELE Times: What is the highlight in terms of MEMS? Collins Wu: According to Gartner, MEMS-based smart sensors are set to gain maximum traction in the worldwide smart sensor market that is forecast to grow to $57.77 billion by 2022; at 18.1% CAGR. The market is driven by factors including concern toward security & surveillance, rising need for energy-efficient devices, growing consumer electronics sector, the surge in the automotive industry on a global basis, favorable government initiatives, and growing trend of miniaturization in sensors. To me, MEMS in India is at its starting point. STMicroelectronics has partnered with many Indian companies and has been working with some of them for two years and now their products are being sold in Europe and USA markets. We hope more and more customers can know MEMS better and will want to work together to incorporate the features of our devices to benefit their products.